Your extra large pet birds need certain types of extra large parrot cages. There is no one-size-fits-all when it comes to your bird’s cage. Your bird’s cage is his castle and where he will be spending most of his time. So, it’s important that you provide a cage that is comfortable, safe, and entertaining. When shopping for bird cages, there are a lot of things you need to take into consideration. This includes and is not limited to: the cage size and shape, material, door type, cage bottom, playtop safety, and for the sake of your wallet, price and transportation. For your own reference, and so you will know that the bird cages we recommend really are the best for your bird, we have outlined the most important cage features you need to take into consideration when shopping for large parrot cages on your own. The table below shows the recommended cage size and bar spacing depending on the size of your pet bird. 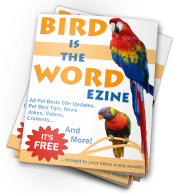 The highlighted row contains the recommended specifications for extra large pet birds. So, while you’re looking, keep in mind that these cage sizes are the absolute minimums and bigger is always better (just make sure the bar spacing is right as well). We know cage hunting isn’t easy, so we’ve done the hard work for you and have found the best large parrot cages on the market at the best prices for each type of bird. This is a great cage at a fantastic price. Not only is it durable and huge, but it includes a playtop so your parrot can spend quality time outside his cage. This cage is the perfect size (bigger than the minimum) for extra large pet birds. Feeding time is easy with 3 large stainless steel non-tip feeding bowls. Hardwood 1-1/8″ diameter perch, heavy duty bottom tray, 1 3/8″ wire spacing and pull-out bottom grille make this a great home. Give your Macaws room to spread their wings! Spacious design measures 46 x 36 x 63 (interior with grille – add another 10″ in height without the grille) and is ready for all kinds of feathered fun. But don’t worry about your explorer finding the way out this cage is carefully constructed from 8GA and 9GA diameter wire and utilizes a flathead hex bolt assembly that even savvy birds cannot unscrew. Feeding time is easy with 3 large stainless steel non-tip feeding bowls. Hardwood 1-1/8″ diameter perch, heavy duty bottom tray, 1 3/8″ wire spacing and pull-out bottom grille make this a great home. Features: -Signature Series collection. -Available in the following colors: Black, Coco and Pewter. -Stainless steel top ornamental balls. -Easy and secure 12 round socker screw assembly prevents birds from unscrewing. -2 solid wood bird cage perches. -Heavy-duty spring-loaded master door lock. -Rounded corner seed guard. -Pull-out tray and grille with grille-clip. -Solid rubber heavy duty ball casters. -Construction material: Powder coated metal. Specifications: -Exterior dim: 72″ H x 28.5″ W x 41″ D. -Interior dim: 56″ H x 28″ W x 40.5″ L. -Bar spacing: 1″. -Wire gauge: 8 and 9. 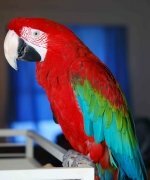 Huge Victorian Cage with Opening Top Overall Height 75.5″ Ideal for Cockatoos, Macaws, congo african greys, Large Parrots, amazons. 4 feeder doors and 1 breeder door 40″x32″x63″ OH-74″ 1″ spacing. Easy climb sides, easy clean powdercoat finish. Slide out trays with top Quality details. Clean and neat seed gaurds Top Quality Powder coated Steel Wrought Iron. 36-1/2″ X 28″ x 64″ Inside Height 46″ Ideal for Macaws, Cockatoos, congo african greys, large parrots and amazons. 3 feeder doors and 1 breeder door, 1″ spacing, Fan Opening Front, bottom cabinet with magnetic doors. Sized for amazons to macaws. Upscale furniture for you and your bird. The no nuts and bolts approach to premium bird cages–solid, sturdy framed cage is collapsible with no nuts and bolts. Incredibly easy-to-assemble knock-down design. Easily breaks down into a small box for transportation and storage. Dometop cage has nest-box doors for breeding and inside toy hooks. Shelf for handy, organized storage of all your bird’s accessories and necessities. Cups, perches, skirt, removable grate, and touch-up paint included. Offered in a variety of finishes. Sapphire blue, emerald green, and ruby are smooth, glossy, translucent finishes. Platinum and pearl white are textured finishes. Powder coated finishes are zinc and lead free. Stainless steel finish is medical grade. Open Top Play Area with 2 Stainless Steel Bowls and a Perch. 3 Feeder Doors with Locks for Easy Feeding. 3 Large Interior Stainless Steel Feeding Bowls for Dry/Wet Food and Water. 1 Interior Long Wooden Perches for Resting. Lower Removable Sliding Metal Tray for Easy Cleaning. 4 Strong Swivel Casters 2 Locks for Mobility and Stability. Double Macaw Cage Non Toxic and Bird Safe! We hope we’ve helped you in your hunting endeavor for large parrot cages! Have You Found A Great Bird Cage? Your comment may just help someone find the cage they desperately need! I can’t see any pictures! ?